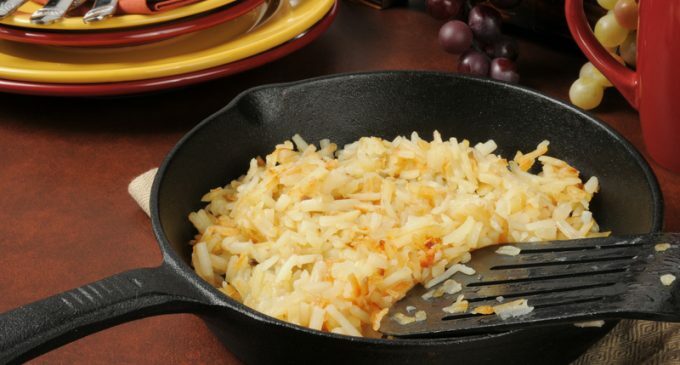 The cast iron skillet has been around for centuries, and while it's one of the oldest cooking tools, it's also one of the most versatile and reliable and is as relevant today as it was when it was first invented hundreds of years ago. While there are other, fancier types of cookware that have been introduced over the past few decades, for many people cast iron is still one of their favorites. However, like any other cooking tool, it requires proper care and maintenance if you want to get the most out of it. When you read up on how to care for your cast iron cookware, chances are you find a lot of “don'ts,” instead of a lot “how-tos.” Well, we have the easy and definitive guide to just how to clean your cast iron so that you can get years of use out of it. The secret is to avoid soap and anything harsh or abrasive, as this can strip the skillet of its seasoning and hinder its effectiveness. To learn the right way to clean your cast iron skillet, please continue to Page (2) for the complete instructions.